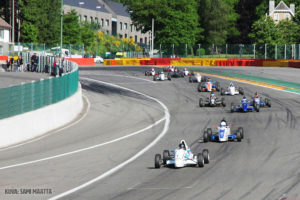 Formula Ford is a single seater openwheel formula class. The first race was driven in England in the 1960’s. 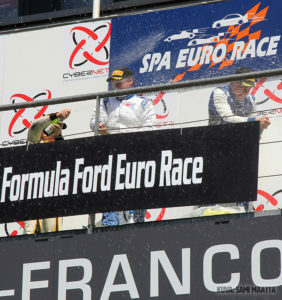 Nowadays Formula Fords are racing in more than 20 countries. 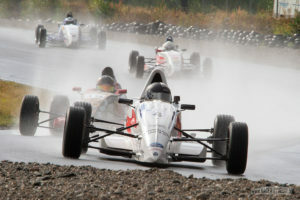 In Finland Formula Fords have raced for 30 years. The engine of the car is provided by Ford. There are four different engine options; Kent 1600cc, Zetec 1800cc, Duratec 1600cc and Ecoboost 1600cc. 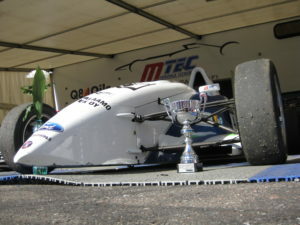 The Finnish Championship Series is driven with Duratec and Zetec. Kent engines compete in historic races. The engine and ECU aren’t adjustable excluding the cam shaft timing. Aerodynamic appliances are not allowed and the tires are one type. Thus the key to speed is mechanical grip and using the maximum of it. Besides the Finnish Mtec, there are chassis manufacturers in i.e. England, France, Australia and Denmark. Mtec has proven it’s competitiveness even against the higly experienced manufacturers Van Diemen and Mygale by winning the Finnish Championship title in 2014, 2015 and 2016 as well as Eurocup silver in 2015 and several Finnish and NEZ- championship medals in 2009- 2015. If you are interested about driving in Formula Ford Mtec Formula Technology can provide to you a new or tested car, a full service factory team driver spot or technical support for the start of your career. Check out more information from the Services tab at Driving or contact us and we will make a suitable package for you!